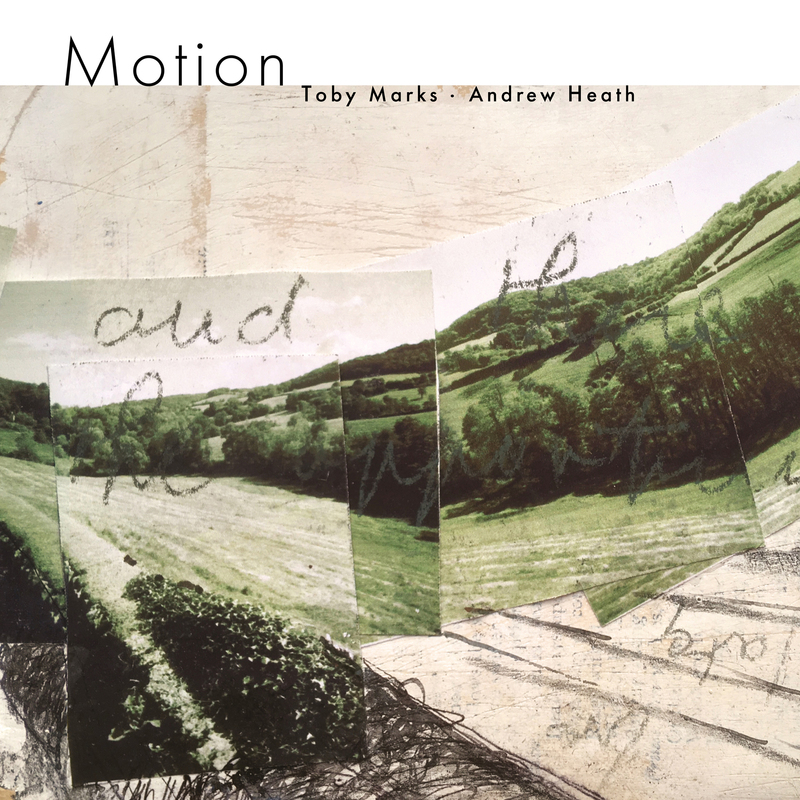 Motion is an innovative new album by sound artists Toby Marks and Andrew Heath. Although the pair have collaborated on individual tracks and shows before, this is the first album they have worked on together. Toby and Andrew started making extensive field recordings on trips to the four corners of Britain during 2018. They went deep into Llechwedd Slate Caverns in Wales, explored Suttle Stone Quarries in Bournemouth, hopped on the Swanage Ferry to Poole Harbour, took to the air with the Yorkshire Gliding Club, floated down the Leeds & Liverpool Canal and rode the Bure Valley Railway in Norfolk. By the end they had a staggering hundred hours of audio in total, which they processed and transformed, blending piano, guitars and electronics, to produce a deeply meditative, endlessly unfolding collection. Sometimes evoking images of machinery, sometimes of nature, these pieces flow and twist, at all times maintaining a humanity and sense of personal experience at their core. At times intense, sometimes barely even present in the mix, the music enthralls and entices, drawing the listener into a world both seemingly familiar and weirdly unknown – a quite alien, and yet still organic, space, which is of this world and yet ultimately of Marks and Heath’s own invention.